New Realms Publishing is having a sale on their Perilous Universal Adventures set of products over on RPGNow. Come celebrate the anniversary of the Universal Adventures and Perilous product lines during New Realms Publishing’s Perilous Universal Adventures Anniversary Sale. During the sale, we’ll be offering all twenty-two of the Universal Adventures titles and the Perilous RPG at discounted prices. Enjoy great savings on the original Dungeon Deck, explore Crypts and Catacombs, plan an assault on the Halls of the Ogres Lord, battle the forces of the Lizard King and more with Universal Adventures products. 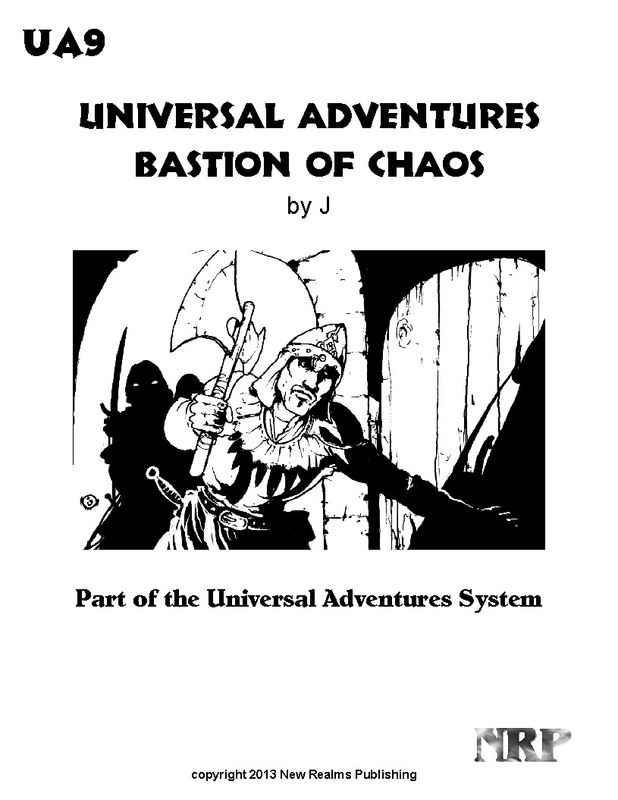 All the products in the Universal Adventures product line are suitable for use with any fantasy RPG and are highly reusable, expandible and customizable. Use the cards to play an RPG solo or with a group, with or without a GM. #1 include information for using the Universal Adventures Treasure Deck I and II and the respective monster books include statistics for the majority of the monsters in the Universal Adventures Encounter Deck. Use the Universal Adventures Dungeon Deck to create the dungeon, the Encounter Deck for the encounters and the Treasure Deck(s) for the treasures and you can have as much dungeon-delving fun as you have time to play! Want something a little more apocalyptic? Then enter a world of monsters, mutants and magic with the Perilous RPG! Explore monster-haunted ruins and subterranean realms, search for lost wealth, magic and ancient technological artifacts, discover great wonders, encounter unimaginable horrors, fight for survival and battle for the future! All this and more await you within the Perilous Realms! And as an added treat, all three Perilous adventure packs will be available at discounted prices during the Halloween Sale at RPGNOW! Enter new realms of fantasy adventure with New Realms Publishing and Universal Adventures.